In a post written last month, one armed unashamedly with the benefit of four years of hindsight, I looked back at the decision of one time Oklahoma guard Tommy Mason-Griffin to leave school, declare for the NBA draft and turn professional after only one collegiate season, a poor season that had been mired by underwhelming play and much tumult within the program. In the four seasons hence, Mason-Griffin has missed more than two full campaigns due to injury, yet he has been under contract and thus been paid for his time nonetheless, something which would not have happened had he stayed in college and given his services away for free. The idea of the piece was in part to repudiate the conventional line of thinking, whereby a player’s decision to leave school early and/or declare for the NBA draft is to be evaluated entirely upon their likelehood of being drafted. Mason-Griffin served as a useful barometer for that – he never made the NBA, never came close, and surely never will, yet his decision can be justified on account of what it meant for his earning potential, one the injuries have crippled. Another player who can serve as an example of this is now upon us in the goliath form of New Mexico State centre, Sim Bhullar. Bhullar has declared for the draft after a sophomore season in which he averaged 10.4 points, 7.8 rebounds and 3.4 blocks in 26.3 minutes per game. It is widely and entirely correctly held that, despite his size and relative productivity, he is not ready for the NBA. Yet he has declared anyway, as, once again, there is professional basketball life outside of the NBA from which he can earn. And he will earn, because of his remarkable qualities. Bhullar, famously, is enormous. In a game populated almost exclusively by giants, the 7’5, 355lbs Bhullar stands out amongst even that crowd as a man mountain. He is almost alone in his size – not just tall, but tall and extremely wide, a leviathan of a man whose size it is tough to fully comprehend. Similar embellishments of size have been made about many others in the past, from Shaquille O’Neal to Yao Ming, right through Ha Seung-Jin and Hasheem Thabeet. Bhullar, however, is bigger than all of them. The 7’6 Mamadou N’Diaye (UC Irvine) and 7’8 Paul Sturgess (Texas Legends, D-League) are slightly taller, yet they are not nearly as big. No one is as big as Bhullar. Bhullar is a goliath. However, Bhullar’s size creates problems just as it does opportunities. His size, the very thing that gives him a calling card into potentially the highest reaches of world basketball, is also the very thing that will likely cut any career he has short. People this large are not built to run, and you cannot play basketball without running. It follows that Bhullar is very, very predisposed to injury just by being the size that he is. As such, there is automatically an assumption that he will one day begin to succumb to size-borne injuries that will prematurely end his career – see also, the broken foot that ended Yao Ming’s career (and nearly curtailed Zydrunas Ilgauskas’s), stress fractures, and incurable things of that nature. Bhullar cannot stay in school not getting paid to play any more because he has only a short time in which to play at all. The earning window is going to be smaller than most. It makes sense then, despite his underdeveloped skills, to declare. This situation is highly analogous to the Tommy Mason-Griffin one, save for Bhullar’s size creating a predisposition to injury that makes his justification even juster. There exists, however, a counterpoint to the presented point about the need to maximise earning potential, one that Bhullar is well suited to demonstrate. Another widely held belief, one which should have long been rendered archaic yet which persists amongst the less-than-progressive corners of basketball coverage, states that college basketball is the best place for American (or Americanised) players to ‘learn the game.’ The mention of failed prep-to-pro stars Lenny Cooke and Korleone Young is an oft-cited way of supposedly proving this adage, the use of their names biting the thumb at the huge body of evidence of players developing well at (and because of) the NBA level, and the even larger body of evidence of players spending four years at college and not developing at all. Staying in school is how you ‘learn the game,’ because apparently the best way to get good at something is to be forced to divide your time between it and academics whilst being paid for none of your work. Bhullar, it is known, needs much more development. He has developed at New Mexico State – incremental improvements in his skill level, more notable improvements in his conditioning and core strength – but every facet of his skillset and body still need a lot of work. For all the snark in the previous paragraph about the faulty and staid logic with regards to the beatified development opportunities within college basketball, it is nonetheless a practice-heavy environemt in which such strides can be made. In a different way, so is the NBA – when surrounded by the best of the best in terms of personnel, equipment and training, effort will always yield results. However, while the NBA is a proven great place for any player to develop, this is only true if they are suitably embedded in it to give the player a chance of developing. While the NBA has every tool at its disposal, it is an environment very light on practice during the six months of the season, and which has the freedom to have the pick of the litter from the rest of world at large. Of the 450 spots in the NBA, only the first 300 or so can be relatively assured that they are to be NBA players for at least the next two years – the rest is highly interchangable, as seen by the massive amount of turnover near the bottom end of every team’s rotation. There are very few spots afforded to long term ‘projects’ that are signed not to play, but to learn – even most players taken in the second roun, signed to contracts that suggest this is their place on the team, often do not get past the first season of said contract. Worse still is when a player on the fringes of the big league is on the wrong end of said fringes. For all the quality basketball leagues in the world, the life of an import player is one of a permanently short leash. 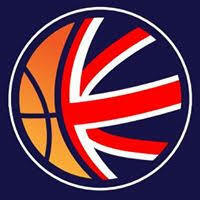 European and worldwide basketball is, for non-domestic players, almost always a tale of one year contracts or less. Those one year contracts often come with trial period clauses attached, and they are bestowed by teams often perennially on the cusp of financial difficulties, one big sponsor withdrawal away from roster decimation and a transfer sanction. You have to be quite the talent and quite the revered person with quite the stroke of luck to stick in any one place for any length of time – life in professional basketball is in many ways brilliant, but when you are a journeyman (and the vast, vast majority of all import players are this until proven otherwise), it is incredibly difficult to break the cycle. Imports have shorter leashes and are judged to tougher standards precisely because they get paid more money and are deemed easier to replace. Bhullar, then, has had to reconcile these conflicting factors. He needs to earn money to play basketball while he can, and it is entirely fair to realistically assume his window for doing so is shorter just because of how big he is. He also likely wants to earn money to play as soon as he can, because no one should give their marketable skill away for essentially free unless they have a very good reason. On the other hand, Bhullar needs to get significantly better as a player, and development is always something best actualised by stability. By being not good enough to guarantee a long term spot in the NBA, Bhullar risks the very vagabondry that will not provide him with the security he needs to develop. The NBA D-League is theoretically a solution to this problem. In light of the increased number of NBA franchise affiliations, it serves better than ever as a holding pen for an NBA team to monitor and control the development of a player or players whose future they value, a role which might be the best case scenario for Bhullar going forward (and which also goes some way to explaining why second rounders contracts come with such short leashes). However, the NBA D-League pays so badly – between $13,000 to $25,000 per season, depending on a league determination of a player’s worth – that it must be questioned of how much value that holds compared to the college experience,. When done properly, college does indeed provide a genuinely valuable experience for both the player and the person. The sanctimony with which it is is described is flawed, yet not entirely baseless. The D-League’s pay structure also compares incredibly poorly to the pay offered in comparable standard international leagues around the globe, where, as inconsistent and difficult as the money can be to come by, it nevertheless could be considerably higher than this. Both strategies have their positives, but both have their failings too. In a way, Bhullar cannot lose. He will always be sought after as a basketball player for as long as he is healthy and mildly talented. He will also, however, be one of the countless thousands of players around the globe fighting for roster spots, for security, for consistency, for opportunity. Professional basketball is extremely fickle; every ownership group, executive and head coach is under constant pressure from permanently restless fanbases, and that pressure is manifested onto the players, who need to be good consistently and immediately. Players who need work, then, are not the priority. And Bhullar needs more work than most.